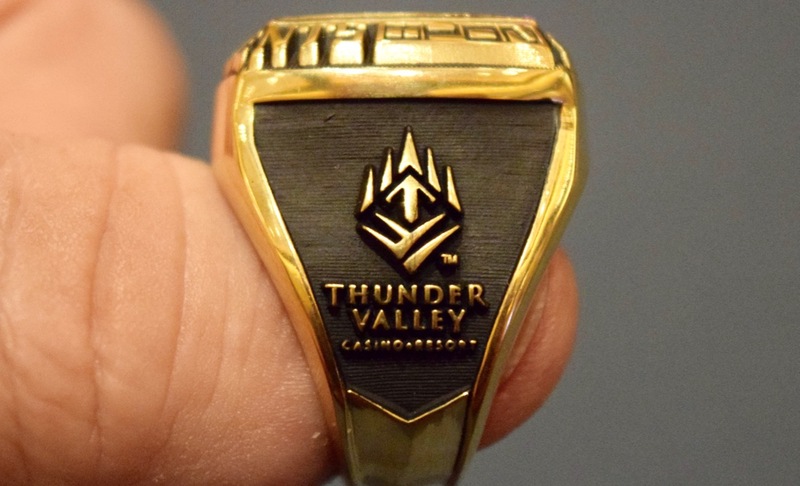 There's five total flights for the opening event of #TVWSOPCircuit - a $365 buy-in with $300,000 Guaranteed. Day 1A is going now, and Day 1B kicks off in one hour at 4pm. Begin with 10,000 stacks, play 30-minute levels on Day 1 (and for three levels Sunday on Day 2 also, before moving to 40-minutes for the remainder of the tournament), registration and a single re-entry per player, per flight, is open until ScottTheTD starts up Level 9 at about 8:30pm. Day 1B concludes after 15 levels - at about 12:15am, with the Bag-n-Tag. Everyone who has chips after 15 levels advances to Sunday's 11am start for the final day of play.